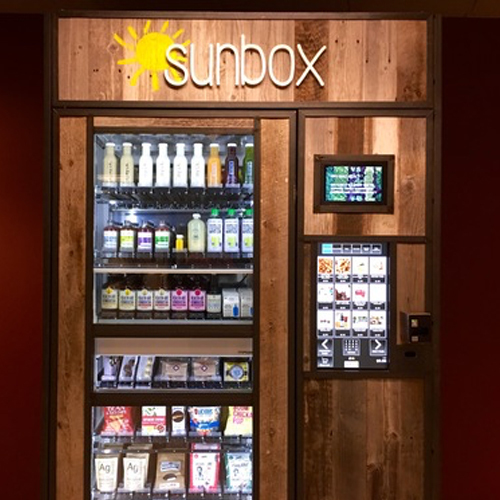 is a healthy kiosk market conveniently bringing you the finest in organic, all natural and locally sourced food, snacks and beverages. We handpick the best tasting healthy items--some of which you may recognize from your local farmers market—and deliver them to you via our nifty, unconventional "box." 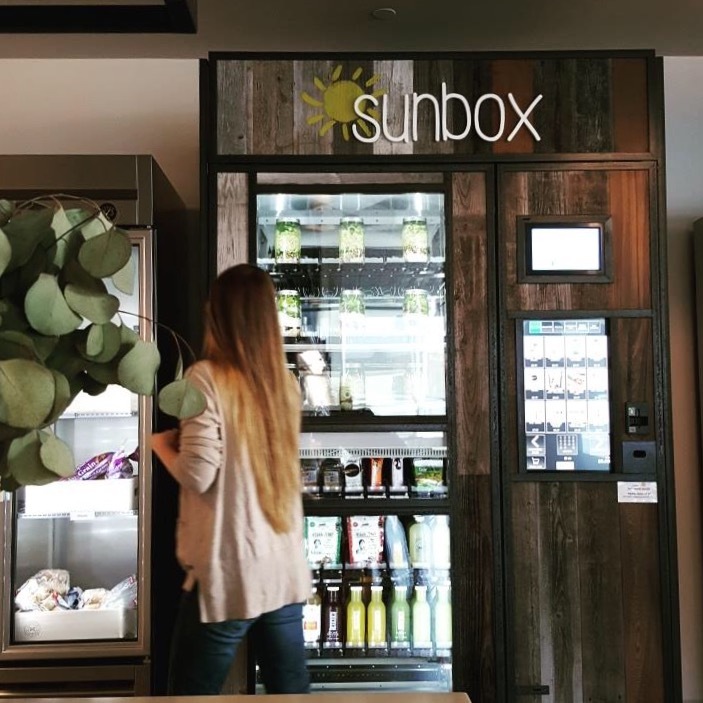 Sunbox is committed to promoting healthful eating that's delicious, quick and convenient. We offer a carefully curated selection with options that include: gluten-free, vegan, paleo, nut-free, soy-free, grain-free, raw, non-GMO and kosher. Our mission is simple: make healthy eating easy, convenient and accessible while offering delicious food, snacks and beverages you'll want week after week.